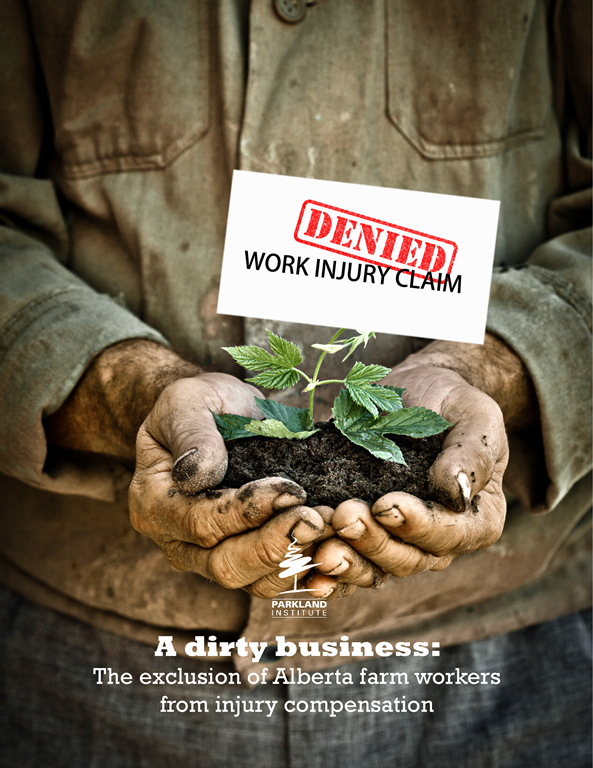 Alberta excludes most farm workers from its workers’ compensation system. In effect, if you’re a farm worker and you get injured on the job, you are on your own in terms of wage-loss replacement, medical aid, and vocational rehabilitation. This long-standing exclusion from benefits available to most other Alberta workers is difficult to reconcile with the hazardous—and sometimes cancer-causing—nature of farm work. It is particularly difficult to reconcile given the preferential access that Alberta firefighters have to workers’ compensation when they are diagnosed with an occupational cancer. This study examines the similar working conditions and diverging workers’ compensation experiences of Alberta’s farm workers and firefighters. Of particular interest is how government members of the Legislative Assembly (MLAs) have strongly supported firefighter demands for automatic acceptance of occupational cancer claims while, at the same time, steadfastly refusing to provide even basic workers’ compensation coverage to farm workers. This inconsistency may be partially explained by electoral politics. The Progressive Conservative party has long required support from overrepresented rural voters to form government. Over time, what appears to be a symbiotic relationship between rural voters and Progressive Conservative (i.e.Tory) MLAs has developed. MLAs limiting regulation (including denying workers’ compensation coverage to farm workers) is one aspect of a broader quid pro quo for electoral support. The report concludes by identifying four strategies available to advocates seeking basic workers’ compensation benefits for farm workers. Farm workers may be able to generate increased employer interest in the liability protection provided by workers’ compensation by suing employers for workrelated injuries. Farm worker advocates may also exert political pressure on the government by highlighting how Canadian farm workers have worse access to workers’ compensation coverage than do international migrant workers. It is also possible to challenge the constitutionality of the farm worker exclusion. Finally, farm worker advocates may be able to exert labour market pressure on employers by publicizing working conditions on individual farms via social media.